Spacious armchair or a small sofa: Red Edition chose to call this beautiful seating furniture from the Fifties Collection the Love Seat. With its 120 cm in length, the sofa is very roomy for one person, but can be made cosy with a second. The large cushioned seats from the Fifties sofa make it a very comfortable piece of furniture, which can be used as an armchair or a sofa. The look is a great mix between simple modern and curvaceous classic. With its thin wooden legs, the red edition sofa brings the 50s charm back to life. 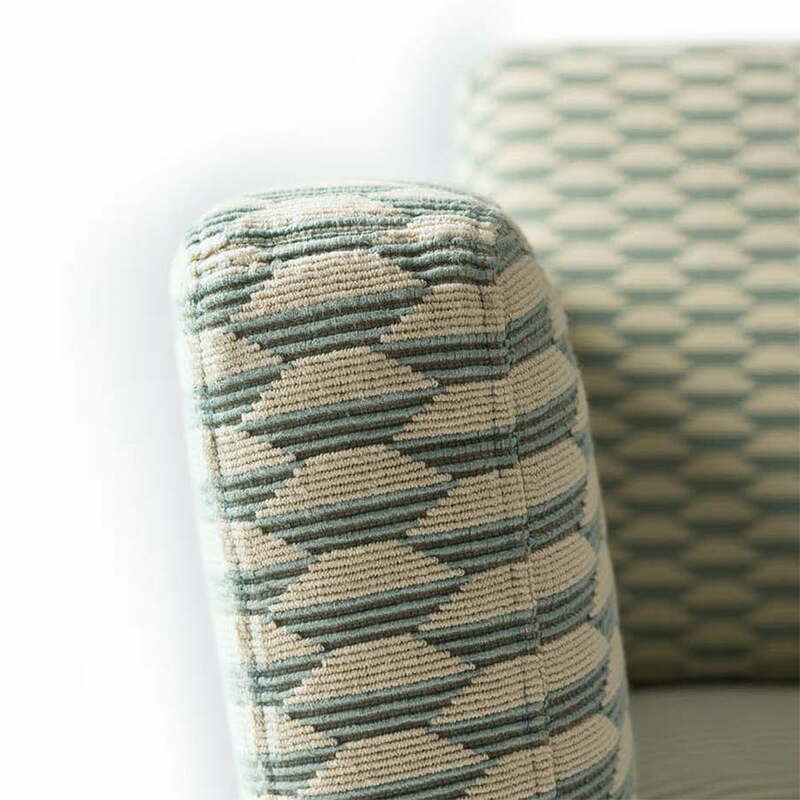 On the other hand, the different fabrics and patterns give the seating a modern touch. For those who need more room, or want to use the 120 model as an armchair can complement the modern retro look in their living rooms with the large Fifties 210 sofa, bringing great variety to the home. 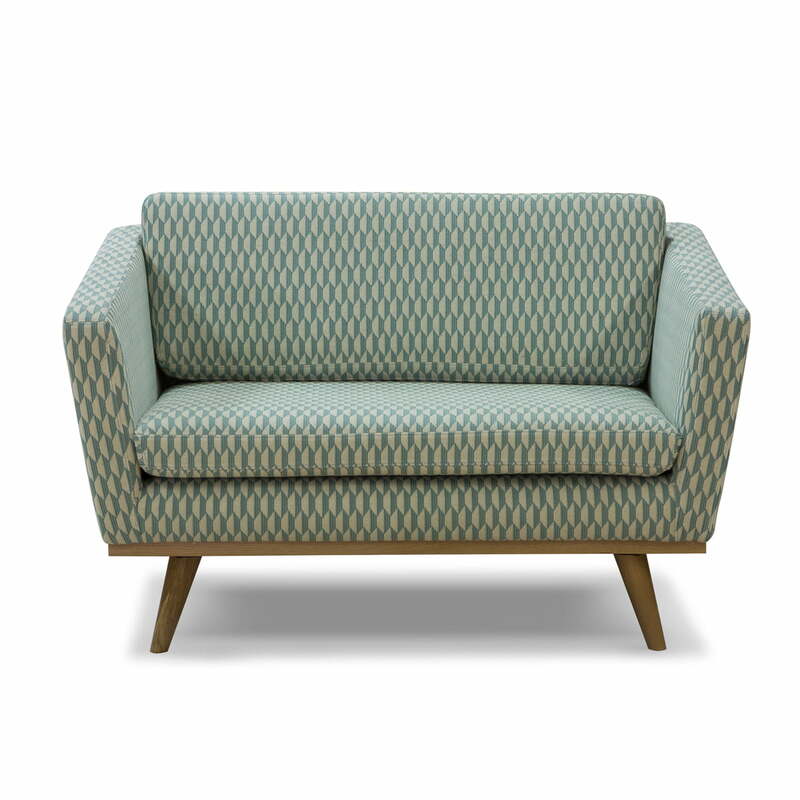 Upon request, the small mid-century sofa is also available in other colors and materials. Individual image of the Fifties Sofa 120 from Red Edition in bakou celadon (T31). 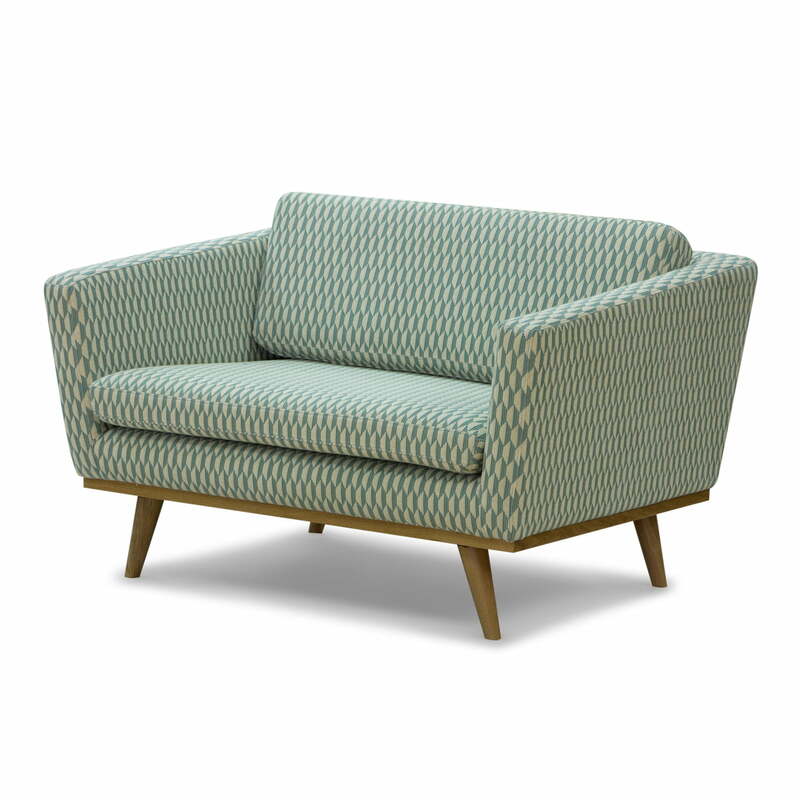 The Red Edition's Fifties Sofa 120 has a frame made out of solid oak. 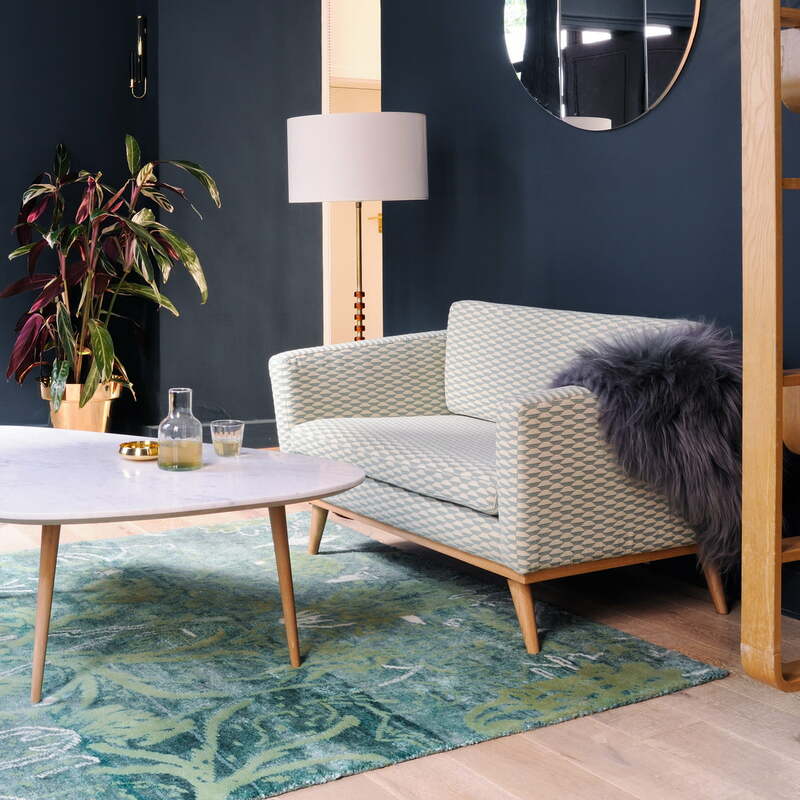 With its length of 120 cm, the Fifties Sofa 120 - from Red Edition in Bakout Celadon (T31) - is very roomy for one person, but can be made cosy with a second. 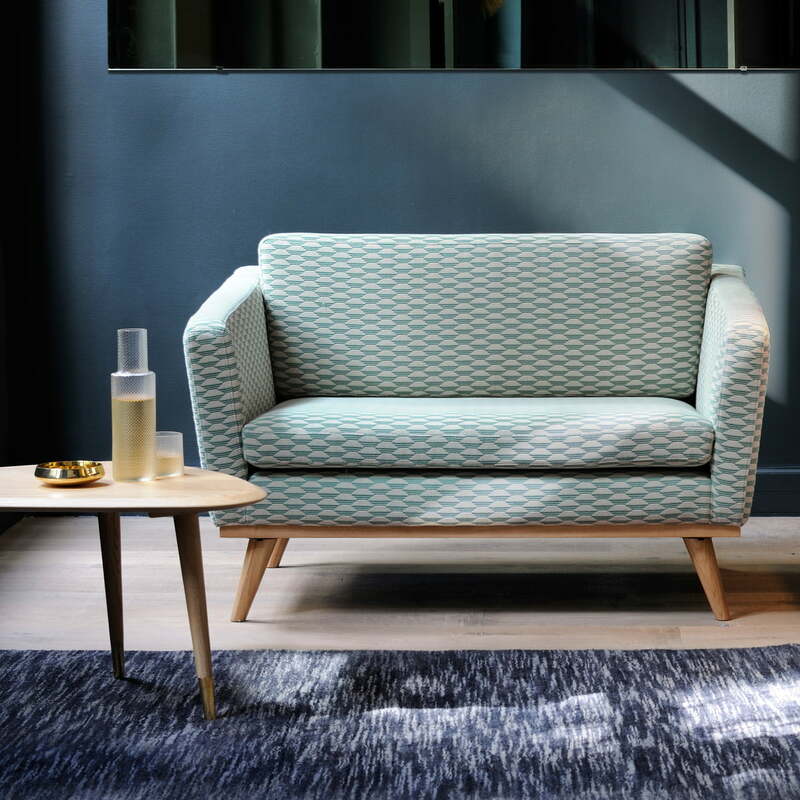 The Bakou Celadon (T31) fabric from Red Edition is a reference for a number of upholstered retro-looking furniture such as the Fifties Sofa 120 and the Floating Chair.